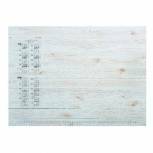 Durable Paper Inlay for Desk Mat 7292/02 Pack of 1 Durable Paper Inlay for Desk Mat 7292/02. For use with DB70113. 25 sheets. Shows 2 year calendar and weekly schedule. Shows international bank holidays. Q-Connect Desk Mat Clear KF26800 Pack of 1 Q-Connect Transparent Desk Mat. Anti-glare, easy clean desk mats for the perfect writing surface. Ideal for use where desks or counter surfaces need to appear uncovered - i.e. Banks, building societies etc. Size - 400mm x 530mm. 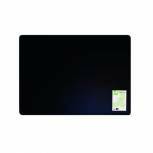 Q-Connect Desk Mat Black KF26802 Pack of 1 Q-Connect Black Desk Mat. Anti-glare, easy clean desk mats for the perfect writing surface. Size - 400mm x 530mm. 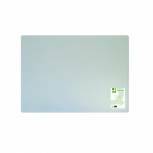 Durable Desk Mat 400x530mm Duraglas 7112 Pack of 1 Duraglas Desk Mat. 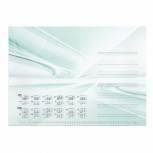 Smart, modern desk mat that enhances the appearance of desk and counters. Ideal for use where desk or counter surfaces need to appear uncovered, i.e. Banks, building societies, etc. Size: 40x53cm. 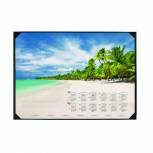 Durable Desk Mat with Overlay W650 x D520mm Black/Clear 7203/01 Pack of 1 Durable Desk Mat. 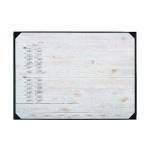 Features clear overlay to keep telephone numbers, notes and reminders close at hand. Non-slip foam backing. Size: 520x650mm. Colour - Clear/Black. 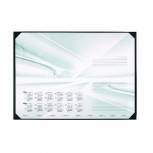 Durable Desk Mat World Map 400x530mm 7211 Pack of 1 Durable World Map Desk Mat. 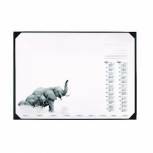 The world map is encapsulated under a welded transparent cover with a non slip base and contoured edges. Size: 40x60cm. 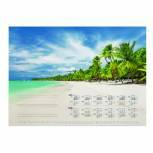 Durable Calendar Desk Mat Black 7291/01 Pack of 1 Durable Calendar Desk Mat Black 7291/01. 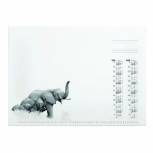 25 sheet paper inlay with 2 year calendar and weekly schedule. Shows international bank holidays. Non-slip foam backing. W590 x H420mm.